This poem is a continuation of the last post going with themes found in Philippians 4. 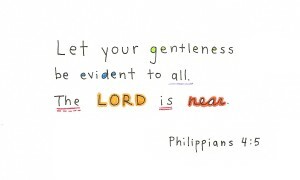 Here are some thoughts on Philippians 4:5 , a passage that gives us good wisdom for the way we live in these last days. Let us be shockingly gentle in every possible way. Not sinfully self-righteously speaking down from above. As our hearts have all at one time been. 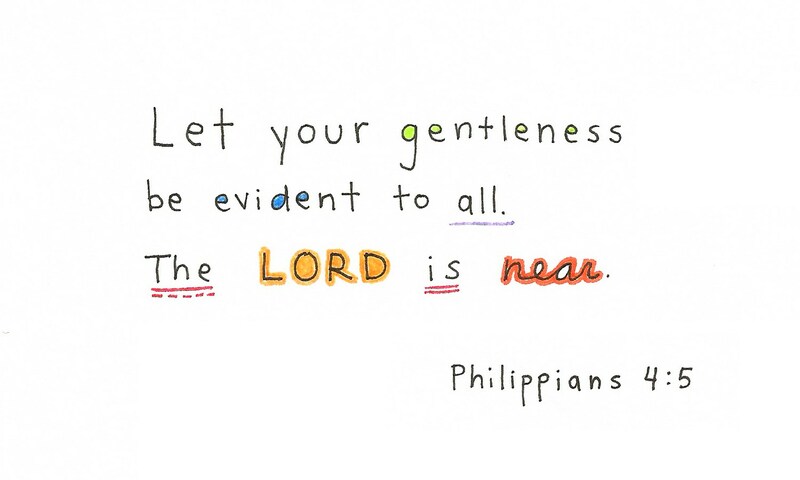 So let gentleness speak and that voice be loud. So one more lost sinner might inherit the crown. And the Lord is near! Right here! Right here now! And sacrificed himself to death. That every sinner could live with Him! And forever ends his people’s tears.